Chaïbos rooibos - Monsieur T.
Thanks to its kind of " magical spices ", this chaï rooibos marries India and South Africa with brio. 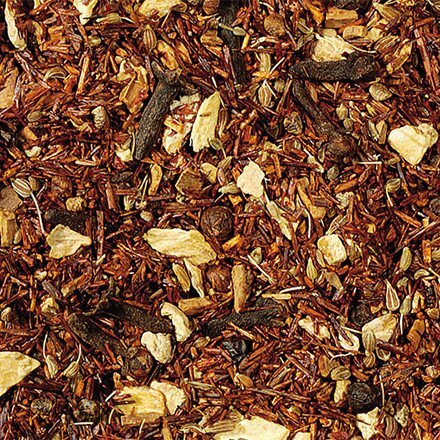 Traditional chaï ingredients such as anise, ginger and cinnamon elegantly meet the sweet and exotic taste of rooibos for a deliciously spicy brew. Chaïbos is perfect for chaï lovers who want to avoid caffeine or for rooibos lovers seeking thrills. Contains: Rooibos, anise, ginger pieces, black pepper, cardamom, cloves, flavors.